Head over to RedPlum.com to print a new $1/1 All Laundry Product coupon. This coupon expires on 4/7 and has a limit of one coupon per shopping trip. 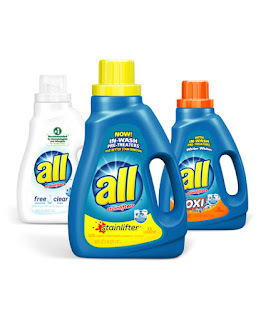 Even better, through March 17th, Walgreens has All Liquid Laundry Detergent 46.5 or 50 oz, Powercore or Mighty Pacs 18 or 22 pack on sale for just $2.99. Pair this with the coupon above for a great deal!